St. Peter's Basilica and Vatican Museums will appeal to museum buffs. Popular historic sites such as Palatine Hill and Colosseum are in your itinerary. You'll find plenty of places to visit near Rome: Tivoli (Villa Adriana & Villa d'Este). The adventure continues: don't miss a visit to Pantheon, take an in-depth tour of Capitoline Museums, appreciate the extensive heritage of Colle Capitolino, and admire the masterpieces at Borghese Gallery. 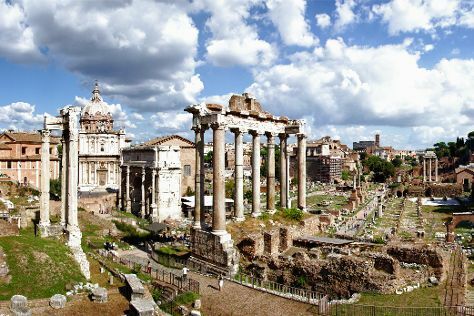 For more things to do, photos, other places to visit, and more tourist information, use the Rome travel guide. If you are flying in from United Kingdom, the closest major airports are Ciampino–G. B. Pastine International Airport and Leonardo da Vinci–Fiumicino Airport. In July in Rome, expect temperatures between 36°C during the day and 24°C at night.